Chem Trade Center specializes in the supply of chemical raw materials to many industries. The core of our business is the distribution of copper sulphate in various grades and purities. 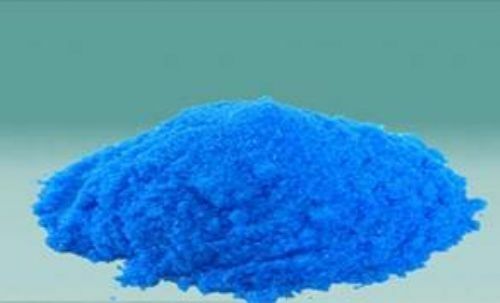 We work with well-known and reputable copper sulphate producers, therefore, we offer competitive prices and convenient trade conditions. The trust that our suppliers have given us is a proof of the high level of services we provide and our flexible approach to clients. Our mission is to supply raw materials of high-quality and to provide professional services in order to support our partners in their daily business operations. Thanks to our consistency and professionalism, we successfully achieve our goals and therefore we are gradually gaining the position of a significant supplier of chemical raw materials and a leading supplier of copper sulphate. We continuously add new products to our offer to better meet the needs of our clients. Information on latest products is posted on our website regularly, thus we encourage you to visit it frequently. Our clients can use any way of contacting us in order to keep up with the news. We cooperate with both large production plants as well as retail customers. For us, every client important. Therefore, we listen carefully to their needs and then we are able to offer a tailor-made proposal which satisfies their highest expectations. We serve our clients and we care about them. We are constantly working on the continuous improvement of our services, and we are also looking for new solutions to improve our business. Therefore, your feedback is so important to us. We are delighted to work out with you the best type of business relationship or a solution to a specific problem, often in an unconventional way. If you wish to check out our services, please do not hesitate to contact us. We will be happy to help you.